The history of Scranton MMA is a many chaptered tale and one that oddly enough began in Denver, Colorado. The martial arts world was forever altered when Royce Gracie in 1993 defeated three opponents in one night during the first ever Ultimate Fighting Championship in Denver. At 6’1”, 180 pound, the slight Gracie Jiu Jitsu Fighter from Rio de Janeiro, Brazil shocked the world by defeating masters from discipline after discipline with relative ease! The viewers were in awe, including among them two brothers from Jessup, PA that made it a mission to seek out and learn this amazing art known as Gracie Jiu Jitsu. Less than one year later brothers Steve and Mark Brunetti began training with the Gracie family. There were only two places to train during that time: Torrance, California and Philadelphia, Pennsylvania. The Brunettis made the commute from NEPA to Philadelphia, PA multiple times a week to train at the Gracie Academy. Steve and Mark studied with Royce and Rorian Gracie as well as the Grandmaster himself, Helio Gracie. The brothers spent 3 years training in Philadelphia until at the behest of Royce they opened a small academy in Jessup, PA. Thus in 1997 the Royce Gracie Jiu-Jitsu Network Northeastern Pennsylvania Chapter was born. The infancy of the academy was an exciting time! Many curious martial artists cam to train at the newly forged training center. Among the Brunettis’ first students was Steve Polito, a life long martial artist fresh out of high school. Over the next several years the student-teacher relationship flourished into a bond of friendship, brotherhood, and family. Steve continued to train in Gracie Jiu-Jitsu and Muay Thai becoming an expert in both theory and technique. Steve, now lead striking coach at Scranton MMA, still trains and instructs with unmatched integrity, loyalty, and love for martial arts. In the mid 1990’s Tom McGuire and Tim Muenkel were freshman in college at the University of Scranton. Tom, already an accomplished Judoka began instructing Tim in the art of Judo. Tom and Tim had already attained the rank of Shodan by 2005 and were well known and respected competitors on a national level in the Judo world. In that year, Tim, an active service Marine deployed overseas. This deployment forced Tom to seek out new training partners and he started training Gracie Jiu Jitsu in order to improve upon his ground game and find the areas best grapplers to train with. At this point Tom had a goal of opening a full time academy and when introduced to the Brunetti brothers and Steve Polito he realized they all had a very similar goal. In short time they were thick as thieves and working collectively towards the vision of a full time academy. In 2006 they opened their first location on MullBerry St in Scranton Pa. With the experienced staff of instructors and vastly talented number of young students the academy quickly became the most dominate competition team in NEPA. The journey, however -to the surprise of everyone involved was not yet complete! In 2008, by the time, Tim returned from deployment this new incarnation of the Gracie Network Chapter was firmly rooted and growing strong. However a new evolution was about to incur, while overseas Tim began training, coaching, and studying the most elite fitness regimen on the planet, CrossFit. Seizing upon this opportunity competitors and non competitors alike began strength and conditioning training with Tim. 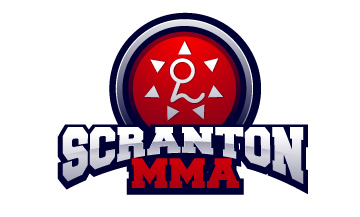 Since 2010 Scranton MMA has continued to grow and has attracted two of the areas most accomplished instructors who are now a part of the Scranton MMA family. Chris Mills now heads our boxing program. Chris has a list of accomplishments that could fill a book and is now imparting that knowledge to all students who look to study the sport of boxing. Chris is a two time WORLD Champion and it really shows in how he is able to teach and train the next generation of boxers. To aid and assist all of our grapplers Scranton MMA has a new wrestling Coach. Coach Carm is now a very valuable asset to all of our judo and Gracie Jiu Jitsu students. Carm has trained at the olympic training center with the worlds best and has competed very successfully internationally. We are extremely happy that he is now a part of the Scranton MMA instructor staff. After 15 years, the perfect storm had finally formed! And just like a perfect storm the old was washed away to make way for the new. Out of the ashes of their first two locations a new academy was birthed! In July of 2010, this team of martial artists forged Scranton MMA. Their goal was collective and simple; through the focus of intensity, integrity, and enthusiasm develop each and every member into complete martial artists, body – mind -soul.